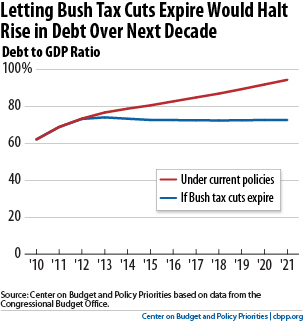 In 2001, George W. Bush cut taxes for the super-rich in the USA–and added $1 trillion to the national debt. His wars in Iraq and Afghanistan added another $1 trillion to the national debt, borrowing most of the money from mainland China. 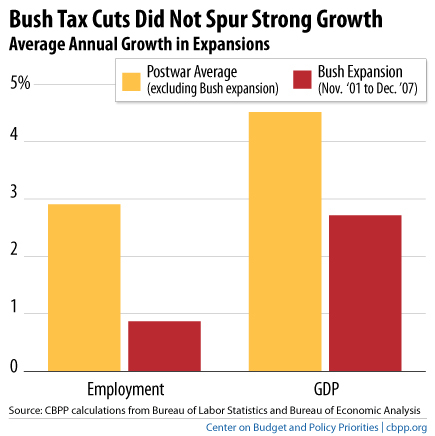 GW Bush’s conservative champions and policy advisers made bold predictions about what the tax cuts would do — massive job growth, vast new wealth, higher incomes, smaller government, and balanced budgets. None of their forecasts came true. 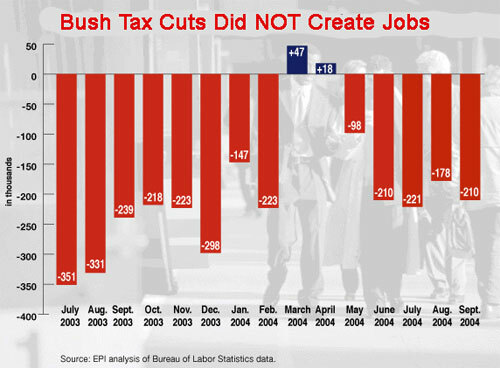 Republicans in the US House and US Senate applauded the Bush “strategy” and not only continued to praise it as unemployment went up and jobs were outsourced overseas, but insisted on the tax cuts be made permanent. Former Governor Tim Pawlenty (R-MN), and 2011 candidate for the GOP / Tea Party nomination for the presidency of the USA is pushing a tax-cut plan that, if enacted, will triple the size of Bush’s tax-cut package, so convinced that it will generate massive job growth, vast new wealth, higher incomes, smaller government, and balanced budgets: the same theorizing of the Bush policy team made. Pawlenty is so out-of-touch with reality, and so desperate to win the economic and political support of the radical right and their financial backers, the Koch Brothers, that he has no consciousness concerning the economic downturns and forced layoffs that came with the tax cuts of George W. Bush and his GOP controlled Congress–downturns that continue to destroy the economic fabric of the USA and safety net for its citizens and those who rely on USA assistance (read: http://www.washingtonpost.com/blogs/ezra-klein/post/what-the-gop-didnt-learn-from-the-bush-tax-cuts/2011/05/19/AGXlyHLH_blog.html). 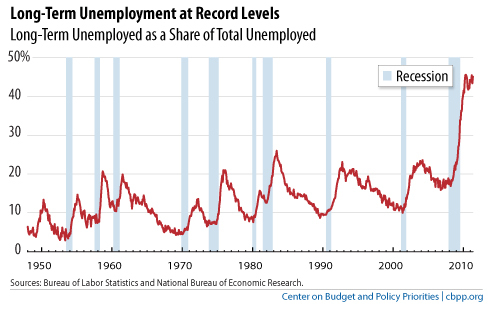 Unemployment shot up under Ronald Reagan, had a modest decline under George H. W. Bush, then escalated dramatically under George W. Bush during his eight years in the White House, where it remains high, because of tax cuts, under Barrack Obama who has been president for two years. As tax cuts continue the fabric of society is damaged, especially in the world of education, for education becomes novel and fad oriented, with little substance or purpose. I was delighted to hear an extraordinarily astute man, Academic Dean Luis Amado Barrera Arréstegui at Universidad César Vallejo in Chiclayo, Perú, question faculty who were complaining about the absence of projectors and various machines used in contemporary education. His query was succinct, and precise: “What would you do if we did not have this equipment.” I chuckled, and went on to my classroom, where there was no operative projector, no screen, and the laptop did not work (as I was accustomed to learning moments after turning the machine on and waiting for a warm up). Unphased, I began class as I had taken classes nearly sixty years ago: using books, my own memory and knowledge, and calling on students to offer critiques, criticisms, conversation, and ideas which led to a demand to know more; when I was young schools considered themselves well-off and endowed when they had blackboards and chalk. 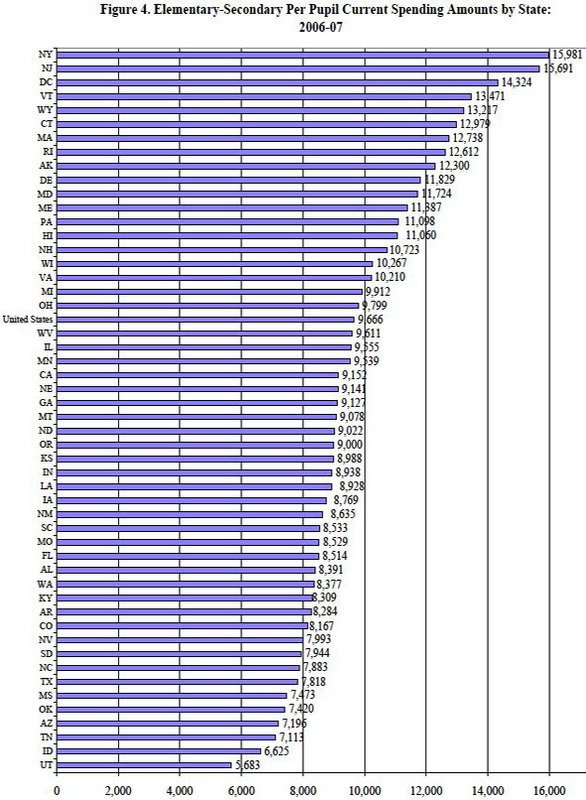 Literacy is going down in the USA (it is 45th in the world, with the first place going to the small nation of Georgia, with Cuba coming in 2nd place; Perú ranks at 100th, Bolivia at 94th, Argentina at 56th, and so forth (read: UNESCO Institute for Statistics estimates based on its Global Age-specific Literacy Projections model, April 2007, p. 171), with 7000 high school student dropping out of school every day (http://www.rense.com/general92/7000.htm). Education is becoming debased, teachers are learning by rote and little accuracy is required, and students are bored, find little fulfillment or challenges. Teachers, who attend on-line campuses such as Phoenix University, York University and other for-profit “learning centers” that are regularly charged with defrauding their students who are unable to get a job once they have completed their on-line studies (see consumer complaints at http://consumeraffairs.com/education/phoenix.html, and legal problems at Student-recruitment Tactics at University of Phoenix Blasted by Feds Univ. of Phoenix Audit Leads to $9.8 mil Fine published in The Arizona Republic, September 14, 2004, by Dawn Gilbertson; also, University of Phoenix Receives Record Fine originally published in the Austin Business Journal, September 14, 2004; and, Gilbertson, Dawn (Dec. 15, 2009). “Apollo Group Settles Suit for $78.5 Million” as published in the Arizona Republic and online), are selected by cronyism or because of their youth or popularity and interest in fads rather than solid learning. This is not just a problem in the USA and South or Latin America, but is worldwide, and penetrates the pseudoeducational systems of Russia, mainland China, Taiwan, where I was informed in writing that my age played against me securing any teaching position as it was of concern to the other faculty. This, unfortunately, is common in other states where all rules of grammar and punctuation are ignored or never learned (see: a plain list of what must be capitalized (English is a proper noun) I will later go through Representative Sweeney’s official biography and correct the rest of the errors in her poorly written entry (for example: “row crop” is neither in the ESL nor any farmers dictionaries (nor any other dictionary, thesaurus, etc), but it is a reference to potatoes as with the Hebrew תפוח אדמה or the Swedish jordpäron for “earth pear” which is the Solanum brevicaule that comes from Perú and is the source of all other potatoes generated originally in Titicaca 10,000 years ago; it is tragic to think that she was ever a teacher, especially of English, but it does help explain why Iowa education, especially in English, is sliding dramatically backwards not only into vulgar or street English but bad English). For this reason I did not send a correction to Taiwan nor to my official representative for Hardin County. Such information would seem quaint coming from a man who was advanced in years. fortunately at Universidad César Vallejo, under the astute administration of Academic Dean Barrera Arréstegui, age is not a criteria on which to base job placement. What matters to Barrera Arréstegui is knowledge and the correct use of that erudition and enlightenment as being the essence and substance for Η φιλοσοφία και η σοφία. This same dumbing-down of education has limited the advances in Africa and in southern Asia. 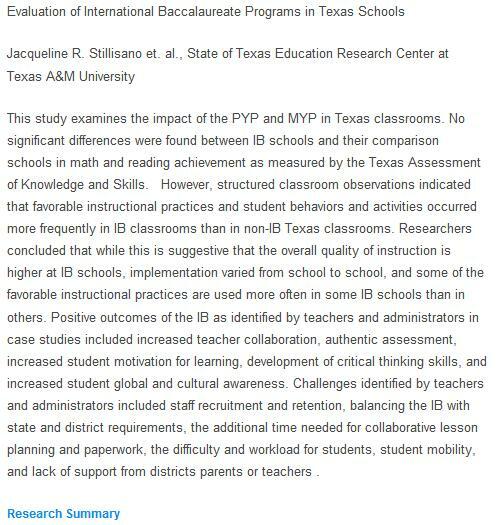 Much of this is the fault of the novel and uneducative International Baccalaureate Programme (IB) out of Cambridge University which is expensive to implement, in the USA more than 14,000 schools are using the AP rather than IB (which accounts for 500 schools), and local control of curriculum, student records, test scores, work and complaints are lost under IB Programme rules. Even the IB Programme administrators admit there is little difference between their work and that of other for-profit groups, as from the IB Programme website. When education becomes weak, ineffective and lacklustre, students do not learn nor assimilate information, teachers lose interest and dedication or a desire to stay on the job and be a part of the conduct of inquiry. These teachers are replaced by less competent instructors, and the ascertainability of knowledge is no longer questioned and intellectual growth disappears in the quest of a degree that few will use and many businesses, industries, and other enterprises will not accept. Today teachers try to be friends with their students, and all boundaries are erased, and no learning takes place; teachers want to be on a first-name basis with their students, and it is not uncommon to see educators leave class with students to share a beer, go dancing, and having more intimate relations (read here and here). When this occurs the entire economy is in jeopardy as teachers not only must be subject matter experts but also know how to teach, how to inspire, and how to require subject mastery, not merely encourage games such as roll-playing, story-telling and friendship moments. The greatest problem education in the USA faces is having an adequate budget, as state dollars are diverted from public education to private voucher systems and home schooling; this is especially true where the state government is controlled by religion as in the southern tier of states, such as Texas, Louisiana, Alabama, and Mississippi, where students are taught fantasies such as Intelligent Design, while northern states, such as New York, New Jersey, and Massachusetts keep up-todate material and funnel more money to education. While reading tends to be accelerating among home school students, what they read is weak in comparison to what is read in public schools: home school students spend more time on sectarian literature at the expense of current events, science, and contemporary thought and are at a marked disadvantage. This is most graphic in the case with Valley Lutheran School in Cedar Falls, Iowa, where more than $1 million was thrown at 43 students to get them to know more about the Bible and less about science or mathematics. 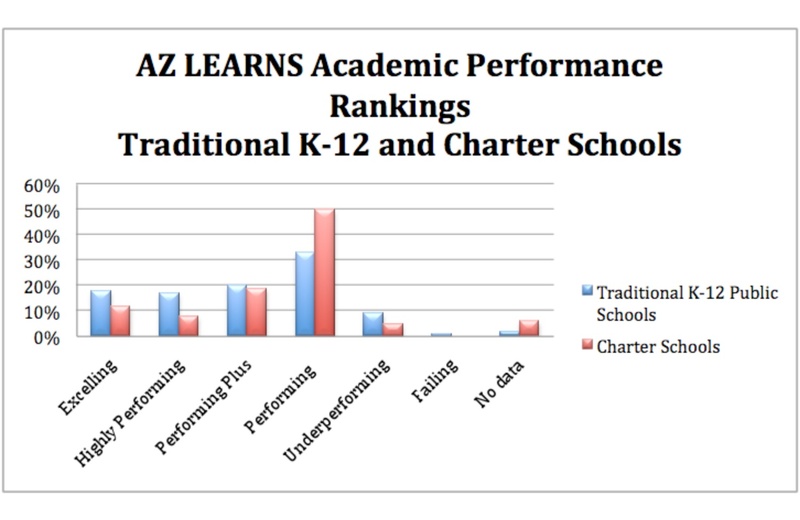 The final grading method, regardless of school or teacher is very much like that found in Arizona, where public education and the interaction of students with those from diverse backgrounds and intellectual curiosity is key; in “Performance” (average learning) the charter school does better, but not in the accelerated learning. 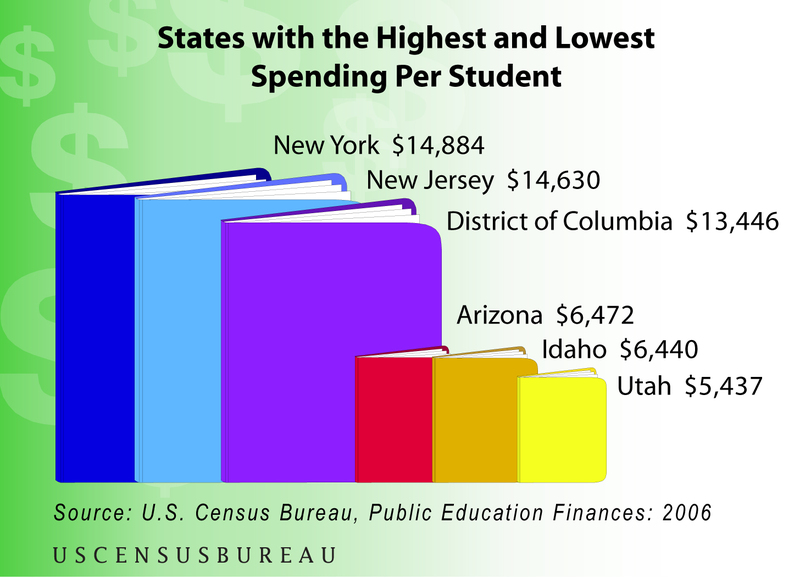 While the federal government does send money to public schools, the bulk of the bill for education lays with the state. 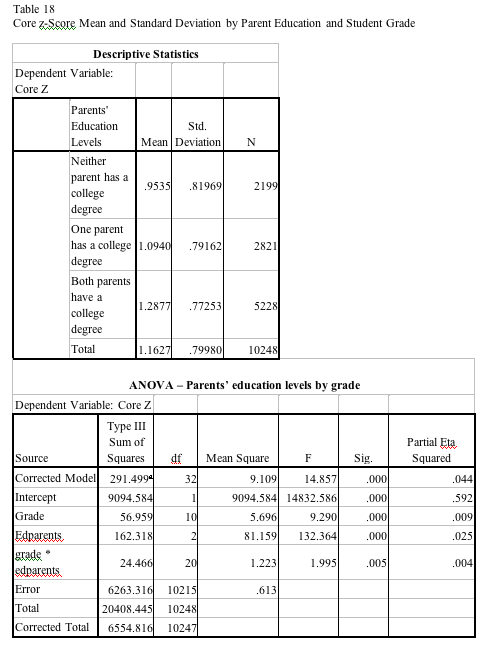 The poorer the area, the less progress in education is made. The less progress in education the weaker is the community resolve, interest, and advancement. The real problem with education is (1) the amount of disposable income that can be transferred to the educational process, and (2) the level of education of the parents (both as home-school teachers and as supporters of public schools). Without money education is weak: few books are bought, there is little encouragement for the student to continue or advance in his or her education, and the realization and acceptance of education being the key to future intellectual and economic growth ignored. If the parents have little academic knowledge and little to no interest in their child advancing, the child will not advance, regardless of the city, state or province, or country: from the USA to Perú or Chad. An Ed.D. (Doctor of Education) has little value unless the holder is teaching methodology, educational strategies, and so forth, for the student must have a teacher who knows the subject if the subject is to be learned–not by mere rote memorization but by practical use. 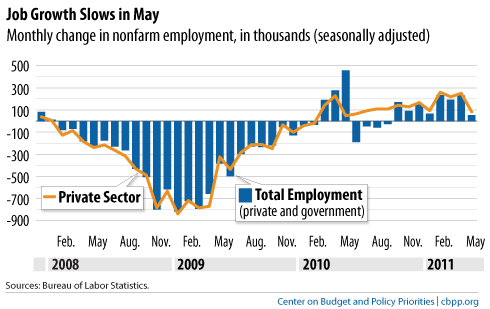 Without this the economy becomes stagnant, the GNP slides, and the entire social fabric is in jeopardy. What hurts education the most is the enormous tax cuts, especially out of the budgets of education, as festering currently in Wisconsin and Texas. 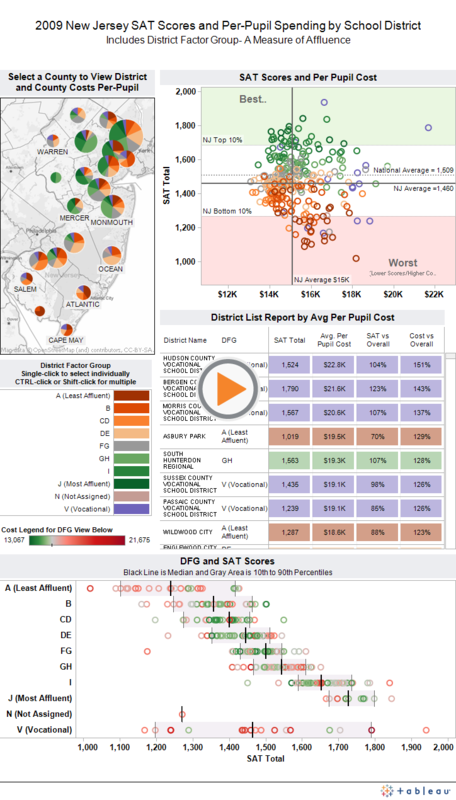 Underfunding is as bad as overfunding. The problem with government(s) is that there is more spent on incarcerating an offender than is spent on educating a person before he or she commits a crime. 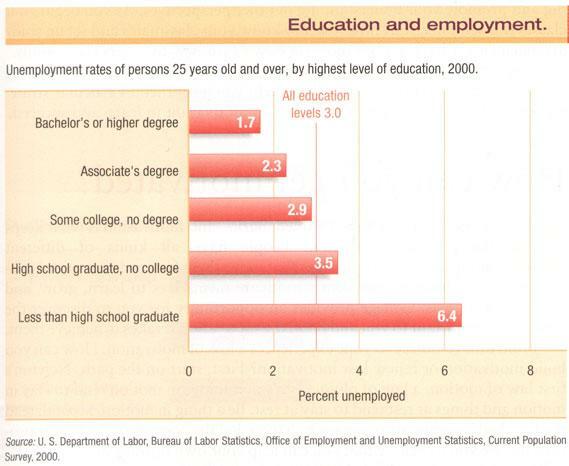 Furthermore, those with no education or limited education are more frequently unemployed or employed in dangerous or illegal activities or commit the crimes that affect everyone. The spineless who now sit in the Congress of the USA are deliberately bankrupting the nation. Most of this negative action is coming from the Tea Bag Party of the GOP, an ultra-right-wing vested-interest group funded and controlled by the Koch Brothers and Koch Industries of Kansas. Together these nefarious neoconservatives have a fashioned a tarnished idol they have named Ronald Reagan. Ronald Reagan was no conservative–unless he needed to appear that way to further his goals. For example, Ronald Reagan, who was diagnosed with Alzheimer’s disease in 1994 (although his son claimed that doctors saw it while he was president), raised taxes eleven times. When Reagan was governor of California he signed into law the largest tax increase in the history of any state at that time. He had to as he signed legislation that allowed state spending to nearly double. As president, Reagan raised taxes in seven of his eight years in office, which even arch-conservative GOP Senator Alan Simpson told National Public Radio. While Reagan is regarded as nearly a saint by Republicans, and hailed as a superior president, he did not have the same public support while in the White House. During his eight years in office, Reagan accomplished nothing, publicly, that was superior. His all time high in the opinion polls was only 52.8% approval according to Gallup. Obama has maintained a higher poll rating throughout his two short years. 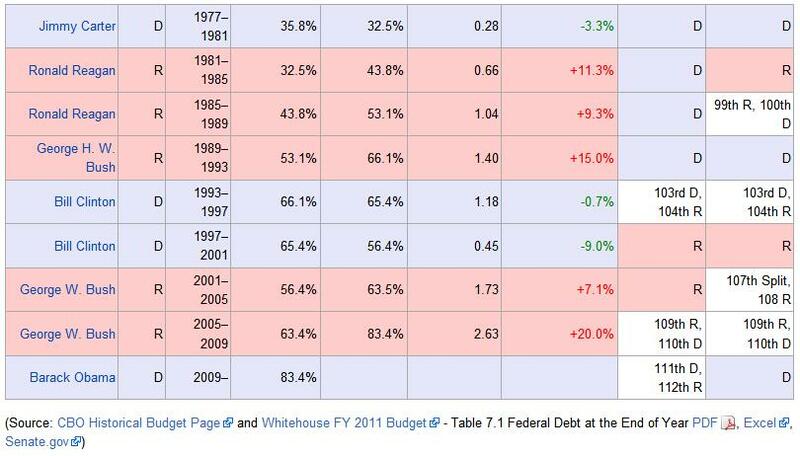 As President of the USA, Ronald Reagan nearly tripped the federal budget deficit, increasing it to nearly $3 trillion, or about three times as much as the first eighty years of the century had done under other presidents. When Reagan did cut taxes in his first year in office, government revenue dropped precipitously (necessitating the raise in taxes to offset the loss). Reagan kept promising his supporters that he would “reign in government spending” and “get the deficit under control” but he never did, despite raising taxes on everything from corporate income to gasoline ten different times (cp. Stockman, David (2010-07-31; director of the Office of Management and Budget under President Ronald Reagan blamed the “ideological tax-cutters” of the Reagan administration for the increase of national debt during the 1980s). “Four Deformations of the Apocalypse”. New York Times (nytimes.com) online ; historical tables are here). Because of his tax cuts, unemployment jumped to10.8% (contrary to the GOP today, it is higher than the 9.5% under Obama), the highest under any president before him save for Herbert Hoover. The rise in unemployment was so severe that Reagan’s popularity fell to 35%–among the lowest of all USA presidents. 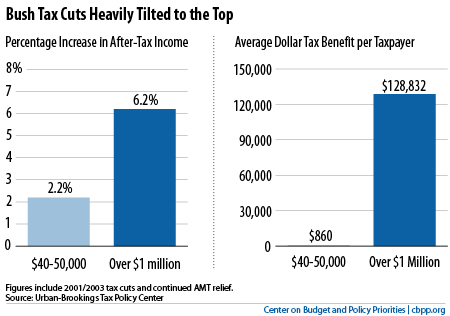 To meet this challenge, Reagan began a series of disproportionate taxing: laying the major burden on the poor and middle class, while the wealthy paid less–as is common in any banana republic. As President, Ronald Reagan saw median household income rise only 30% (adjusted for inflation) while average incomes for the top ten percent of the people of the USA tripled or quadrupled, as noted by David Leonhardt of the New York Times. 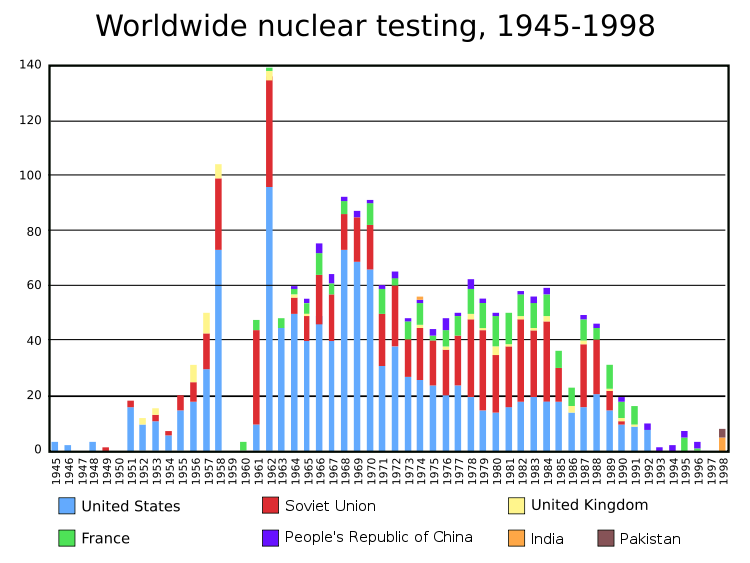 While the national debt tripled under Ronald Reagan and doubled again under President Bush, House Minority Leader John Boehner in February decried the $787 billion emergency economic recovery spending as “one big down payment on a new American socialist experiment”–the socialist experiment began by Reagan and continued by both George H. W. and George W. Bush. By June, Boehner warned of the “crushing debt Washington Democrats are running up.” Senator Judd Gregg (R-NH), seldom known for telling the truth, condemned Obama, boldly brayed another falsehood: “we’re basically on the path to a banana-republic-type of financial situation in this country”. 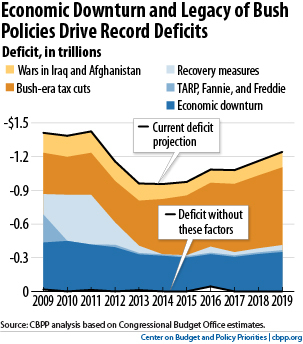 It is noteworthy that it was Bill Clinton’s 1993 deficit-cutting package (passed without a single GOP vote in either house of Congress) which helped usher in the surpluses of the late 1990’s. 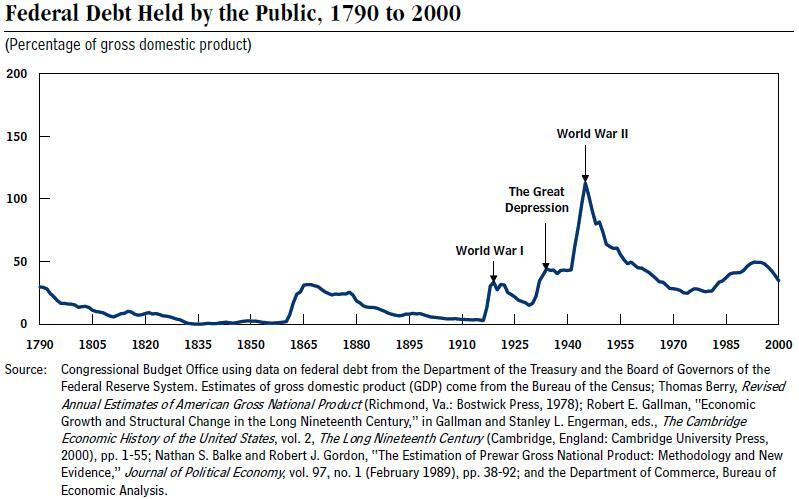 Ronald Reagan promised to “move boldly, decisively, and quickly to control runaway growth of federal spending” but then let the federal government mushroom like a nuclear cloud. He tried to privatize Social Security in 1983 as he saw the built up revenue in this security plan as a source to take additional money for his illegal wars and his build up of foreign mercenaries in Latin America, while at the same time commissioning the political assassinations of those who were “left leaning” or “communists” — the politics of assassination that was initiated by Henry Kissinger when he ordered the execution of Chile’s President Salvador Allende originally ruled a suicide, but now with evidence of two successive shots to Allende’s head, one from an AK-47 assault rifle and one from a smaller gun it is obvious to all that it was murder. 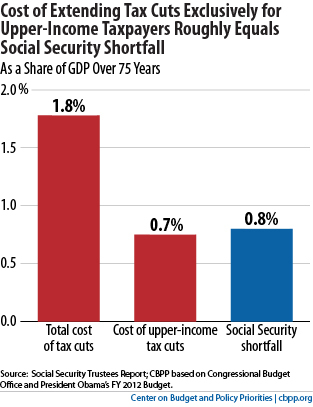 In the end , Reagan set up a progressive taxation system to keep Social Security funded into the future. While Reagan promised to cut government agencies (Department of Energy and Department of Education were his two main targets), he did not. Instead he added one more: Department of Veterans’ Affairs that has a budget of over $90 billion and approximately 300,000 employees. Reagan’s biggest boondoggle and waste of money was his unnecessary and unreasonable hike in defense spending by over $100 billion a year–a level at that time that was not seen since the height of the Vietnam Conflict–and not equalled until George W. Bush involved the USA in an illegal war in Iraq based on the lies of one man. Contrary to conservative commentators, Reagan was not opposed to abortion. In 1967, as governor of California, Reagan signed a bill to further liberalize the state’s abortion laws. That resulted in more than one million additional abortions. He ran for presidency by catering to evangelical extremists, promising to outlaw all abortions “except when necessary to save the life of the mother”–but once safely in office, he “never seriously pursued” curbing choice. Reagan’s autobiography has numerous contradictions and interesting insights. For example, he wrote that his “dream … became a world free of nuclear weapons” but this countered the theocrats belief in Armageddon which, according to some, prophesied nuclear war (the autobiography is: Reagan, Ronald (1990). An American Life. New York : Pocket Books, c1990 but printed in 1992). 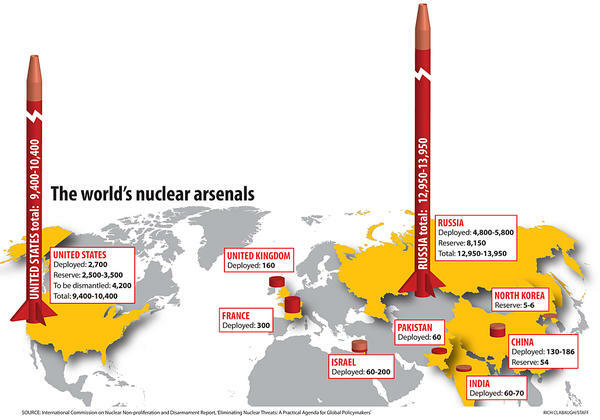 As the Washington Monthly noted, armed with a desire to stop nuclear war, he called on Russia to eliminate all of its nuclear weapons–while increasing the same weapons in the USA. Arms control did not become a discussion point, however, until his vice president, George H. W. Bush, became president eight years after Reagan was first inaugurated as President of the USA. 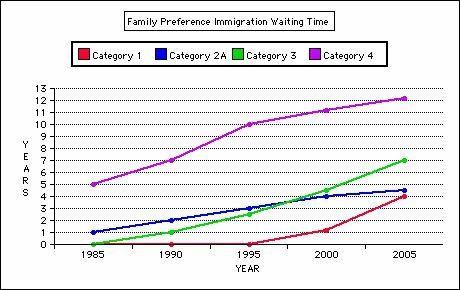 While the conservatives in Texas, New Mexico, Alabama, and other states today cite Reagan as being opposed to illegal aliens entering the USA, the truth is quite different. Reagan granted amnesty to 3 to 4 million undocumented workers, and signed into law a bill that made any immigrant who entered the country before 1982 eligible for amnesty (read here and here) when one-time Mayor of New York City Rudy Giuliani admitted this on Saturday, January 5th, 2008 in a debate in Manchester, NH, he lost his chance to be the GOP nominee for president–it defaulting to John McCain of Arizona that is among the most racist states in the USA). Reagan did many illegal actions as president. He illegally funneled weapons to Iran. With other senior USA officials he secretly sold arms to Iran even though an arms embargo was in place. 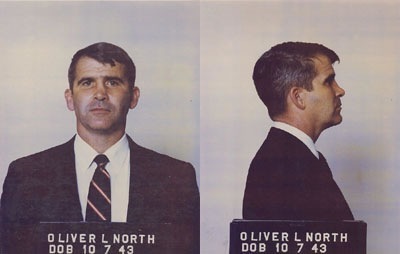 The sale of arms to Iran brough cash to one of the greatest gangsters in USA history, Col. Oliver North. North aligned himself with Iran, a theocracy that is so intolerant of any diversity, that any break with the codex established by the Supreme Council is punished harshly: women who commit adultery are stoned to death (the man is only whipped), those accused of being homosexuals are hanged and left to rot in public, news reporters who do not give theocratic lines in their publications can face the loss of hands, and so forth. North broke every law passed by Congress and thereby became guilty of treason according to the USA Constitution. In this regard the disgraced Marine was identical to the odious opportunism of televangelist and propagandist Pat Robertson. Robertson also visited the “contras” in 1985, an act forbidden by law, and thereby becoming a traitor to the USA, as did North, with neither showing remorse but actually arguing that their acts followed the precepts of Jesus (read here and here) . His actions expose that Robertson is a politician and not a clergyman who should lose his tax exempt status as well as forfeit it for his television soap opera and university (Regents). North’s clandestine cohorts have never been tried for their crimes, yet they openly funneled Iranian funds to anti-Communist rebels in Nicaragua–an act expressly prohibited by the US Congress (from the USA National Security Archives). 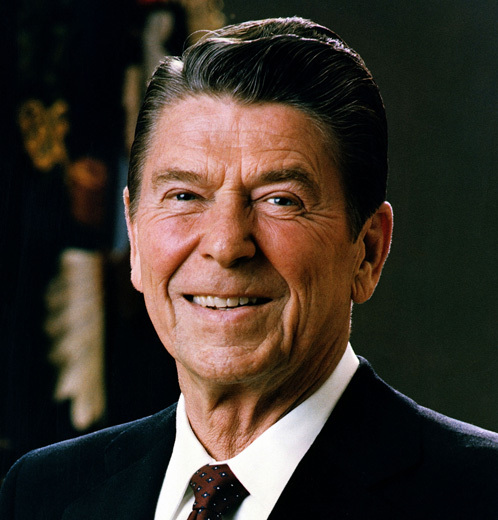 At the height of the Iran-Contra scandal (justified only by other televangelists such as Jerry Falwell, and Texas Southern Baptists such as Richard Land), Reagan’s popularity plummeted with more tha one-third of all American’s demanding that he resign the presidency. 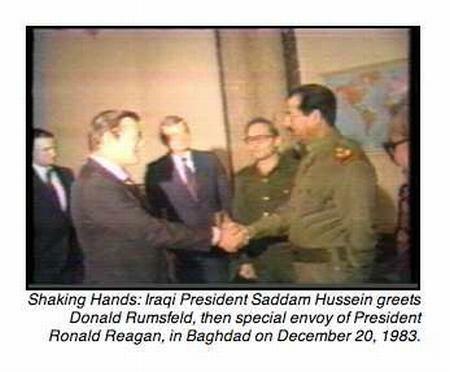 At the same time as he was sending guns to Iran’s ayatollah, and laundering the money to cohorts in Nicaragua, Ronald Reagan helped to create the Taliban (using the CIA, FBI, and various private paramilitary groups), and at the same time commissioned Donald Rumsfeld to install Saddam Hussein as president of Iraq against the will of the Iraqis who saw Saddam as self-seeking and a threat to human life and basic liberties. To Reagan that meant nothing, for Reagan considered “security” to be all essential, especially in securing more Middle Eastern oil to feed the growing demand for energy in the USA (refer to the USA National Security Archives). Furthermore, Ronald Reagan openly funded Osama Bin Laden, whose family constructed the Binladen airport outside of San Antonio, Texas–as the Bin Ladens were personal friends of his vice president: George H. W. Bush (cp. Ide, Arthur Frederick (2002). Jihad, Mujahideen, Taliban, Osama bin Laden, George W. Bush & oil : a study in the evolution of terrorism and Islam. Garland, TX: Tangelwüld Press). 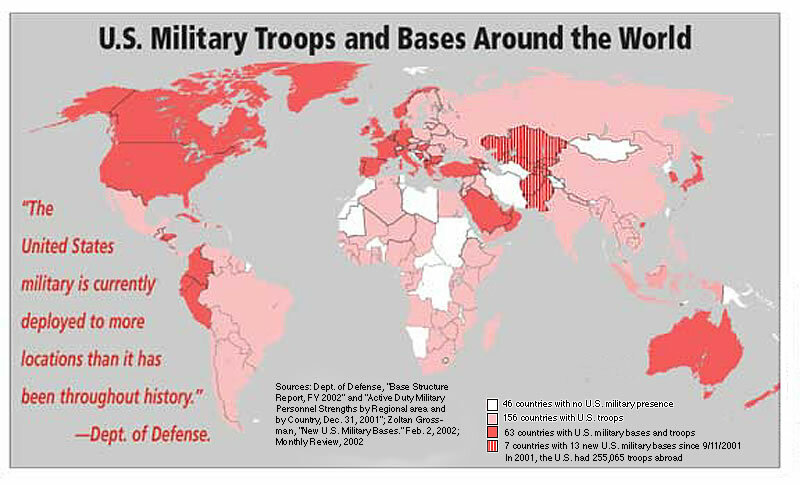 Afghanistan, and Bin Laden, from the Soviet Invasion to September 10, 2001. New York, NY : Penguin Books). 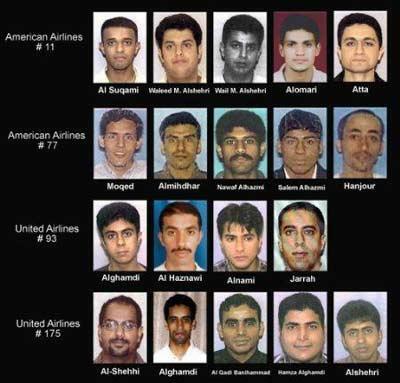 This accelerated Bin Laden’s ascent and the establishment of al-Qaeda that would later send hijacked USA airplanes into the World Trade Center towers on September 11, 2001, the jihadists (nearly all from Saudi Arabia, having been admitted to the USA for aeronautic studies at flight schools in Florida then under the governorship of George W. Bush’s brother Jeb Bush who already has begun a quest to wrest the presidential power for himself and further the Bush dynasty’s control over the USA and its court system–a court that today is completely in the hands of big business and has routinely ruled against the laborer and common man in the middle class and those who are poor in such cases as Citizens United v. Federal Election Commission, No. 08-205, and overruled two precedents: Austin v. Michigan Chamber of Commerce, a 1990 decision that upheld restrictions on corporate spending to support or oppose political candidates, and McConnell v. Federal Election Commission, a 2003 decision that upheld the part of the Bipartisan Campaign Reform Act of 2002 that restricted campaign spending by corporations and unions (read here); for the Bush-Bin Laden union read here and here for the Florida timeline for the pilots; also read here where Bush meets with bin Laden’s brother on September 11, 2001). This is a fine work. I’m copying it into my PDA for its excellent reference material. Thanks for this. It is a wonderful resource. Thank you for your comments. I always try to add clips, charts, and photographs to all articles. I will have to review this one and see what can be added. I agree with everything you have to say. 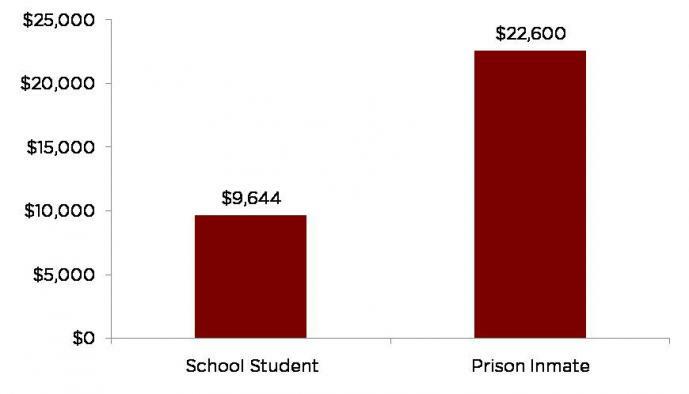 I am wondering where you got the information for your graph showing costs of education vs. incarceration. I’m doing an Admin. of Justice class. Would like to link.